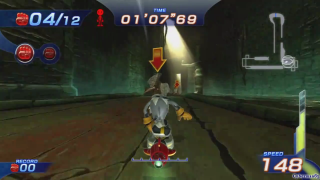 Forgotten Tomb is the sixth racecourse in Sonic Free Riders. This course is set within a long-abandoned pyramid from an ancient civilization. A river with murky water passes through the level. The level includes very long jumps and an inner bridge made of wood to pass through. This page was last edited on 5 May 2018, at 14:13.